Photo of Barcelona by Aeioux used under a Creative Commons license. Javier Calvo, Wonderful World (Harper, 2009). 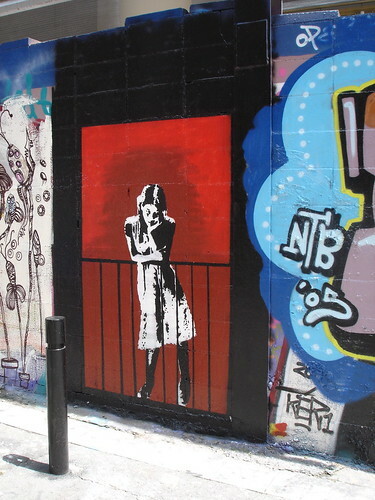 A novel set in Barcelona involving antique dealing, criminal gangs, nightclubs, medieval Irish paintings, Russian emigres, a precocious and disturbed teenaged girl at an Italian school, and the release of an eponymous Stephen King novel. The novel is full of unpleasant people treating each other poorly, with few exceptions, and those not put off by such things are likelier to enjoy it. Here is Calvo’s Wikipedia entry. This is his blog. The publisher lets you take a look. Edward Nawotka (Dallas Morning News) calls it a peculiar amalgam of crime caper, literary homage and Eurotrash sideshow. Janelle Martin likens Calvo to David Lynch and Quentin Tarantino. Ryan Williams says Calvo is a satirist who sides with the villains. Sarah Weinman calls it a magical ride. Lianne Habinek was weirded out and disappointed. Shaman Drum says think of it as a midnight movie in book form. Matt McGregor thinks genre play gets the better of Calvo. Barbara Fister calls it a mashup of crime fiction, caper, dystopia, and family drama. D Reading Room took on the book. Listen to Calvo and the translator, Mara Faye Lethem, on the Ed Segundo show. Shaun Manning interviewed Lethem. 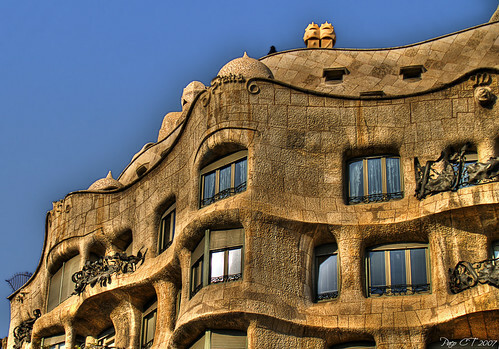 Photo of La Pedrera – Casa Milà by Paco CT used under a Creative Commons license. Robert Hughes, Barcelona: The Great Enchantress (National Geographic, 2004). Hughes, an Australian expat who was Time‘s art critic for years, has long made Barcelona his home away from home, and wrote a longer and more celebrated book (confusingly titled Barcelona) on the city seventeen years ago. National Geographic must have decided that this made him the right person to write about the city for their Directions series, for which well-known authors write short books about places. The result sometimes feels like a writing assignment rather than an organic book, but it works as a handy introduction to the city. Hughes follows a chronological approach in describing how the built environment of Barcelona came to be, and what is unique about Barcelona’s culture pours out around the edges. Here’s Wikipedia’s page on Hughes. Hughes wrote an homage to Barcelona in Time in 1992. Here are two paragraphs from the book on Antoni Gaudi’s Casa Batlló (with a picture of the facade). Miquel O’Dochartaigh posts some favorite passages. Ian or Linda Kaplan calls it a readable overview of Barcelona, its architecture and Catalan culture; he likes it more than Hughes’ other book, but not as much as Colm Tóibín’s Homage to Barcelona. Sarah says it brings the city alive like no other, and she lived there. George V. Reilly gave it 3.5 stars (out of 5) and calls it well-written and opinionated, if overly selective. John Novick found it helpful. Paul Symonds says it’s at once a personal account and a travel documentary; he recommends nine other Barcelona books, too. Nancy Todd calls it a fascinating painting of the Catalan capital; she, too, has other recommendations. Natalie Perrin calls it schizophrenic. Adam D. Roberts used Hughes as a guide. Reuben is inspired by Barcelona’s architecture. Tyson Williams picked it up before he went to Barcelona, where he took photos.And Jennifer Schuessler reports on Barcelona bookstores.